Benchmark statistics are based on product replication engine version 6.0 test results. Product versions 9.0 and above deliver substantially better performance. 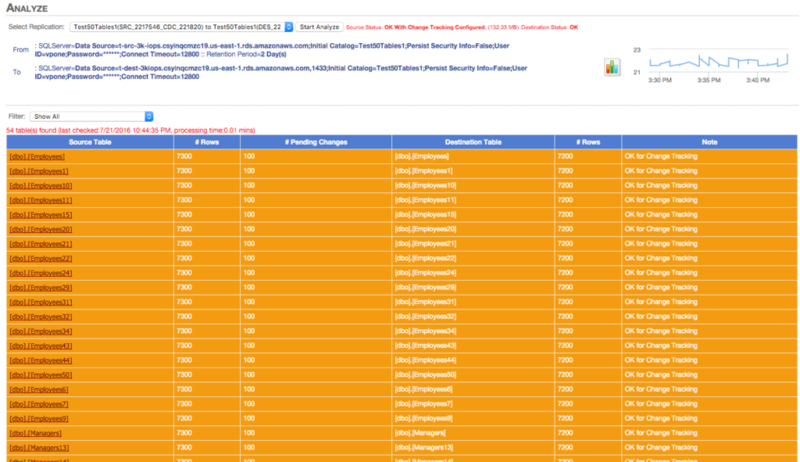 Inserting 100 records per table every 10 seconds, first into 4 tables (in a 54 tables database). And then increasing the load to inserting 100 records per table every 10 seconds into all 54 tables in the database. The database is hosted in AWS Virginia based RDS db.M4.2Xlarge instance, replicating to another zone (Multi-AZ with creating of a Readable-Replica) asynchronously to a smaller RDS db.M4.Large server with SSD2 drives. Replacing the SSD2 drives with SSD drives with 1800 or above IOPS is expected to yield even better results. 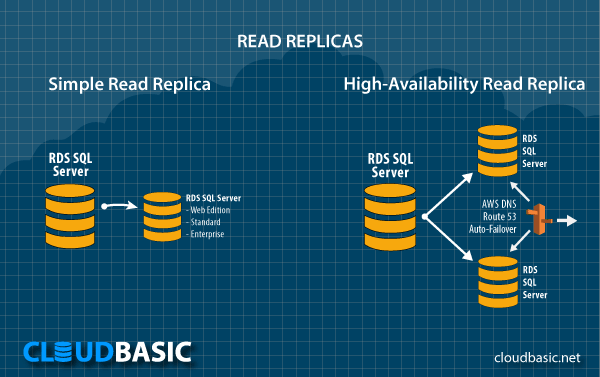 RDS AlwaysOn/Geo-Replicate Dashboard: replication load inreases from ~100 concurrent inserts into 4 tables to ~100 concurrent inserts into 54 tables. The lag increases from ~2 seconds to ~22 seconds.